Keno is compared to lottery because of the way ticket numbers are picked. This is true for both online keno and real casino keno. 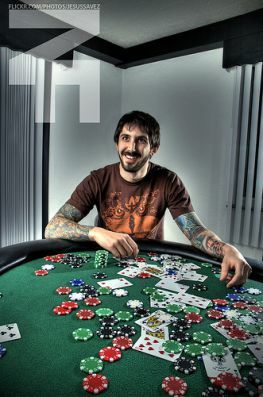 The game requires players to choose ticket numbers from one to 80 and bet on these numbers. Keno tickets are easily availed on the tables in keno lounges and you need to pick some. Online you do the marking on a space provided on the screen where you also place the bet. In real casinos, you are expected to mark your chosen numbers with clear Xs using crayons that are provided on the floor. The tickets have the numbers 1 to 80 listed in lines with respective spaces to mark X on your chosen numbers. You are free to choose any number but can not choose more than twenty numbers on one keno ticket. Picked keno numbers are also called spots and a bet one number is called on spot similar to two, three and so on. You can also indicate how many times you want your chosen ticket or tickets to play and you would have to multiply the bet accordingly. 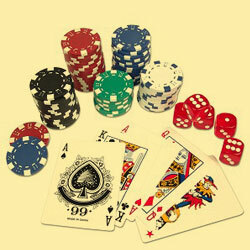 Some casinos give special offers for playing one ticket number severally in the form of better payout ratios. You can try to find the casinos, which offer sign up bonuses for keno. The tickets are then handed of to the runner who issues electronic tickets in return and enters the numbers betted upon for the draw. The runner puts the 80 balls into a keno machine which uses aerated system to pick 20 balls out of the available 80. The numbers picked are the winning numbers and you would to follow the runner for your pay if the machine picks your number. For online keno, a random number generator is used that simulates the real keno machine and picks 20 numbers that would be displayed on the screen. Keno is a chance game like poker or lottery and has a high house considering that a player has only 1 in four chance of being a winner while the casino has a probability of three out of four to be a winner. The game is simple and there are no hidden rules or established strategies that can make your picked numbers have better chances of being selected. The strategy that you employ in the game largely depends on the reasons for which you play the game. Some people prefer to spread their bets over large numbers as a means of minimizing their losses. This from another angle can also mean minimizing their wins and possible payout. All numbers have an equal chance of being selected. Some times you may choose to bet on many numbers most of which end up loosing then you still end up a net looser. It is better to give yourself a full potential of winning if you are lucky by betting on fewer numbers or one and incase you loose appreciate that is gambling. THe main tip among the roulette tips is applicable to the online keno game, which tells us to watch our money.